While everyone else is getting super excited about the warm weather and jetting off to new and exotic – or not so exotic – holidays this summer, if you suffer from prickly heat, all you can think is ‘AARRGGHHHHH, I’ll have to just sit in the shade so I don’t get blotchy red itchy marks’. Well, don’t fear as I have some remedies which could hopefully turn your summer nightmare into a distant memory! Cool sprays: these cool sprays will lower your skin temperature when in hot weather, reducing the amount you sweat and therefore reducing the amount of blocked sweat glands, which are a major cause of prickly heat. If the sprays are too pricey for your budget, just fill a small, empty spray bottle with cool water and spray happy! This may not be suitable for everyone, but a particular favourite of my prickly heat-suffering family is Piz Buin sun cream- the best to combat the itchy red rash. While we should all be wearing sun cream, why not use one which can help prevent prickly heat? 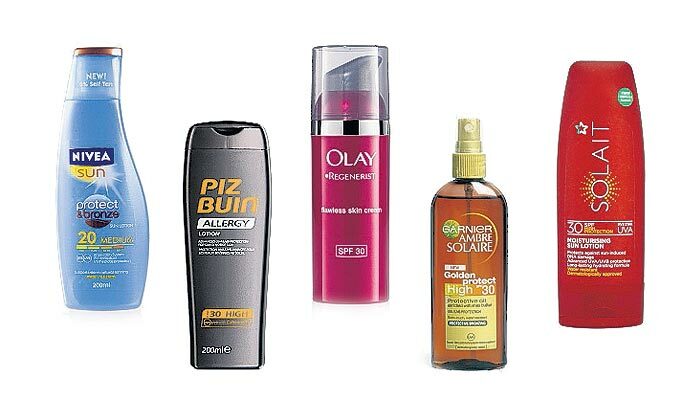 Piz Buin can be expensive but for you savvy shoppers out there then head to B&M, Home Bargains or Bodycare as these shops usually have it for half the price. Be sure to look out for a high factor ‘allergy’ bottle- this is the best. If you have tried everything under the sun – bad pun intended – and you still come out in a rash then use calamine lotion on the sore areas; it’s both cooling and soothing. Again, working in the same way as the cool spray to lower the temperature and hopefully stop the itching and swelling. Calamine lotion can be picked up in most stores at a very reasonable price. Loose light weight clothing- this may seem obvious, but step away from the bodycon and bandeaus, and grab that loose cotton kaftan or baggy t-shirt. The loose clothing again prevents high body temperature and sweating, and so reducing the chance of a breakout. Baggy is also great for when you have eaten one too many ice creams in the sun- perfect! After following these very simple tips I hope your summer can be a blotch-free zone! Previous articleWhat ever happened to higher education?